And another win for low carb peeps everywhere! 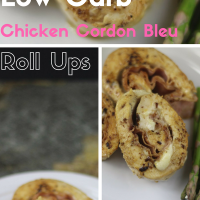 Check out these amazing and amazingly simple sous vide Low Carb Chicken Cordon Bleu Rollups. Only 1 gram of carbs per serving and they are full of protein! Pair with a spinach salad to get some fiber in you. These were a great lunch and super filling too! I had mine with asparagus, nom nom. Low Carb Chicken Cordon Bleu Rollups were the best lunch to follow my Instant Pot Tomato, Basil, and Mozzarella Egg Cups. Keeping under 20 grams of carbs is easy when you have options like these! When I made these I meant to only do 3 servings, but it turned into 8 because the portion was too big, I was full way before I finished the portion I made for myself. Sometimes I amaze myself with what I can do when I put my mind to it! 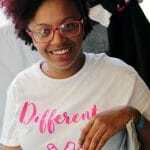 Thanks for reading and make sure you are following me Recipes by Pink on Facebook!